Krymske was the hottest spot in Donbas. 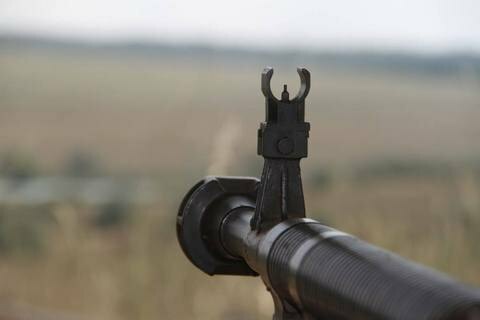 Five Ukrainian soldiers were killed and four wounded, the antiterrorist operation (ATO) HQ said in a report on 24 November. The hottest spot in Donbas was the settlement of Krymske. In an engagement that has lasted for eight hours, four Ukrainian soldiers were killed and two wounded. Separatists said on social networks that the Ukrainian troops attempted to cross the frontline highway Bakhmutka but were stopped by militants' machine guns. The ATO HQ morning report says the enemy seven times shelled Ukrainian positions in the areas of Novooleksandrivka, Luhanske, Pavlopil, and Vodyane but does not specify where the casualties were sustained. According to the report, eight militants were killed and nine wounded in combat. On 22 November, six Ukrainian soldiers were reported wounded in Donbas.